You might want to sit down for this, parental units: New research suggests that gaming for a few hours a week helps kids be better problem-solvers, in class and on the playground. The results of a study published recently in the journal Social Psychiatry and Psychiatric Epidemiology suggest that children who play games for five or more hours per week fare better in school than their peers who do not. Cue the collective jubilation of young gamers everywhere. The study also found that, likely due to the live, multiplayer social nature of many video games today, kids who gamed a lot were more socially engaged overall. They also reported fewer relationship problems than peers who played less or did not play at all. Perhaps this because an increasing number of video games encourage players to work together toward a common goal. 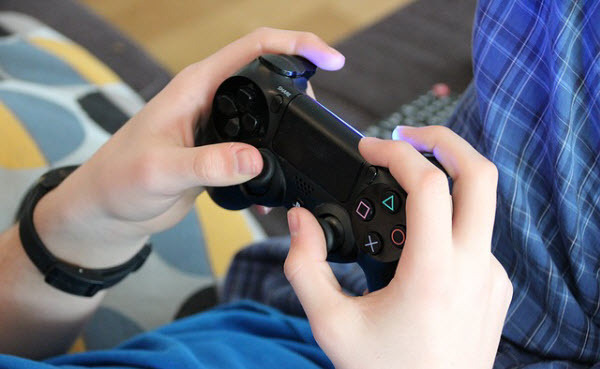 The findings might come as a surprise to many, particularly when weighed against earlier research that points to the opposite, not to mention the general sentiment that video games hamper children’s ability to focus on less attention-hogging tasks. On the other hand, they might be surprising if you have gotten wind of other similar recent studies that connect gaming and good grades. In this particular study, however, 13 researchers from the School Children Mental Health Europe project went a step beyond surface academic and social-emotional correlations. Drawing off of data supplied by parents and teachers of about 3,000 child subjects (ages 6 to 11) in six European Union countries, they concluded that children who game often during the week not only had an edge academically and socially, but also generally “suffered no emotional or mental health problems,” according to the Games and Learning Publishing Council publication GamesAndLearning.org. "I think what we're seeing here is the evolution of gaming in modern society. Video games are now a part of a normal childhood," participating researcher and Columbia professor Katherine Keyes told U.S. News & World Report. "It's no longer that kids who play a lot video games are the isolated, techy, brainy kids. What we're seeing here is that kids who play a lot of video games are socially integrated, they're prosocial, they have good school functioning and we don't see any association with adverse mental health outcomes." Keyes also noted that parents should not take the study’s findings as a green light to let their kids game their hearts out. “We caution against over-interpretation, however, as setting limits on screen usage remains an important component of parental responsibility as an overall strategy for student success,” she said in a statement detailing the study’s findings. In conclusion, Keyes and her fellow researchers assert: “Playing video games may have positive effects on young children.” They were, however, careful to point out that more analysis on the topic is needed.